Highlights Merleau-Ponty’s interest in film and connects it to his aesthetic theory. 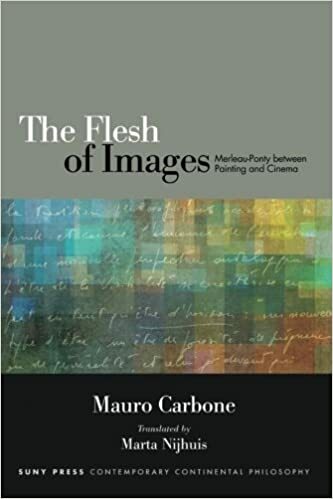 In The Flesh of Images, Mauro Carbone begins with the point that Merleau-Ponty’s often misunderstood notion of “flesh” was another way to signify what he also called “Visibility.” Considering vision as creative voyance, in the visionary sense of creating as a particular presence something which, as such, had not been present before, Carbone proposes original connections between Merleau-Ponty and Paul Gauguin, and articulates his own further development of the “new idea of light” that the French philosopher was beginning to elaborate at the time of his sudden death. Carbone connects these ideas to Merleau-Ponty’s continuous interest in cinema—an interest that has been traditionally neglected or circumscribed. Focusing on Merleau-Ponty’s later writings, including unpublished course notes and documents not yet available in English, Carbone demonstrates both that Merleau-Ponty’s interest in film was sustained and philosophically crucial, and also that his thinking provides an important resource for illuminating our contemporary relationship to images, with profound implications for the future of philosophy and aesthetics. Building on his earlier work on Marcel Proust and considering ongoing developments in optical and media technologies, Carbone adds his own philosophical insight into understanding the visual today.